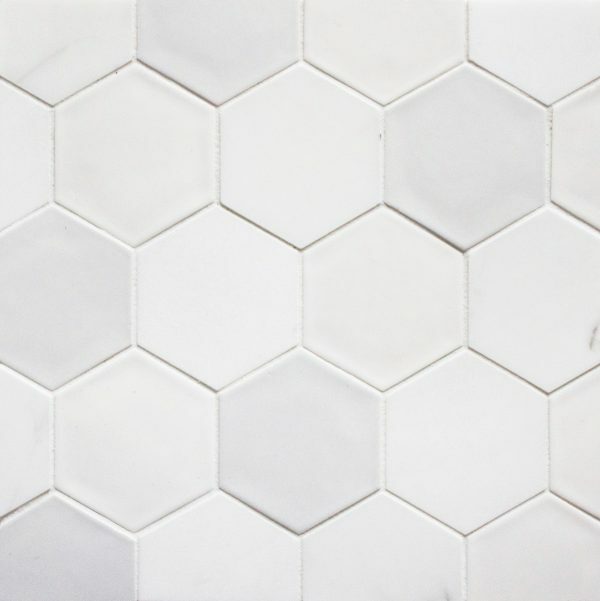 Hexagon 3.5″ mosaic is ordered by the square foot. 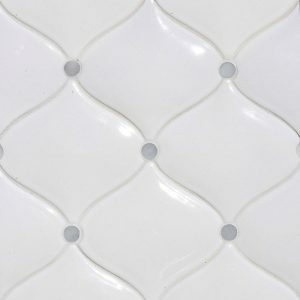 It is assembled into sheets approximately 14″ tall by 12″ wide (1.16 square feet per sheet). 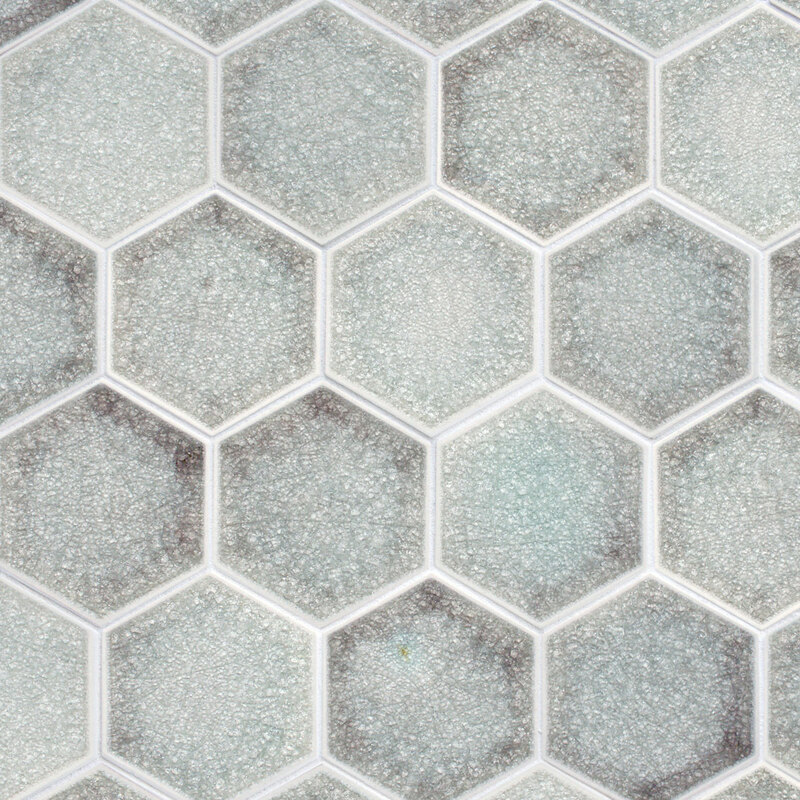 Hexagon 3.5″ mosaic shown here in Neptune quartz glaze. 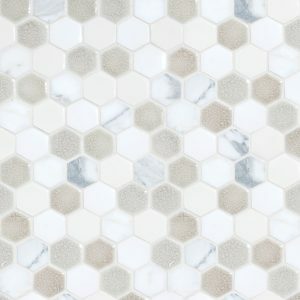 Hexagon 3.5″ mosaic shown here in Milk gloss, Quail gloss, Thassos marble and Calacatta marble. Hexagon 3.5″ mosaic shown here in Blues precocious glaze. 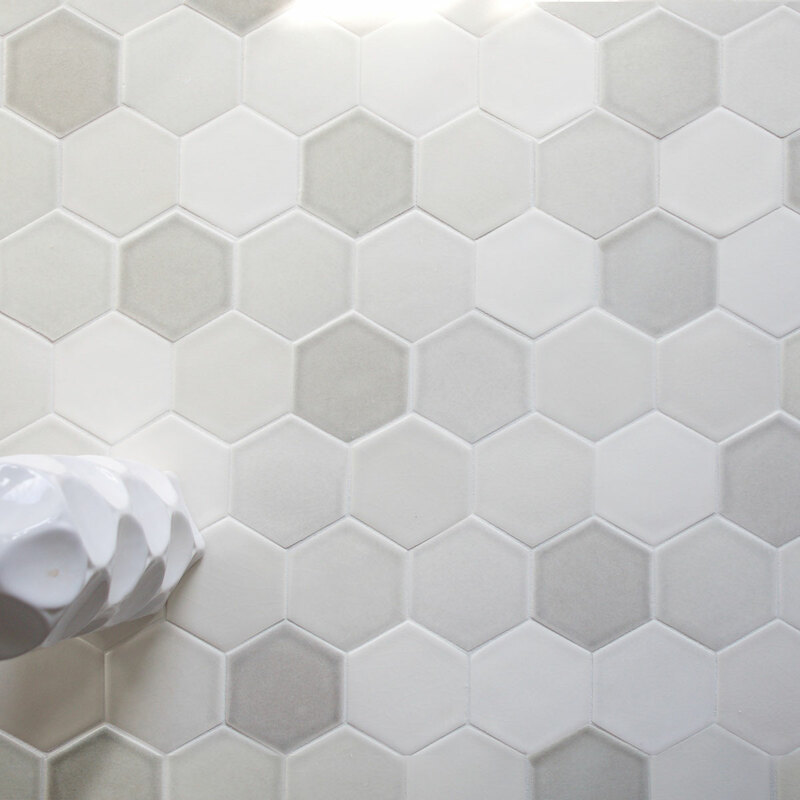 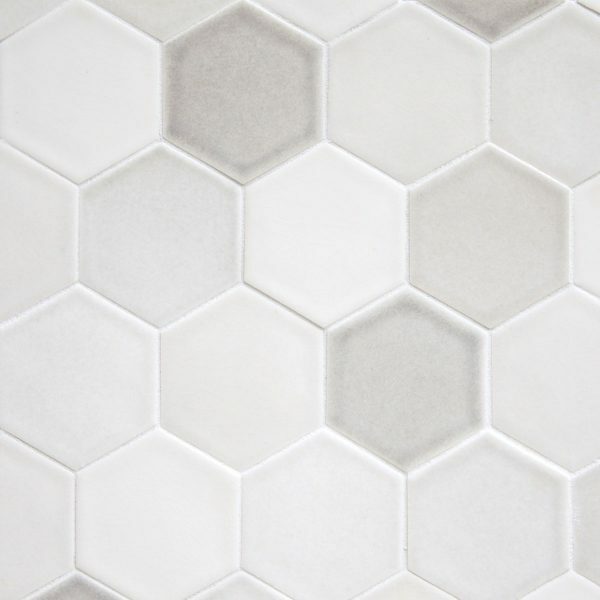 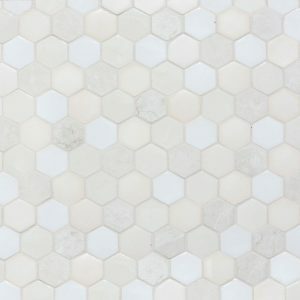 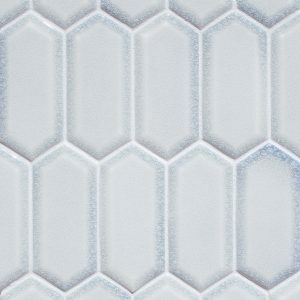 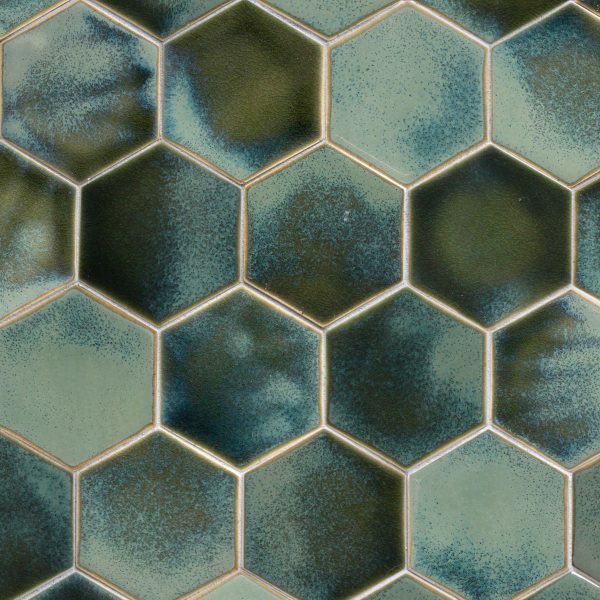 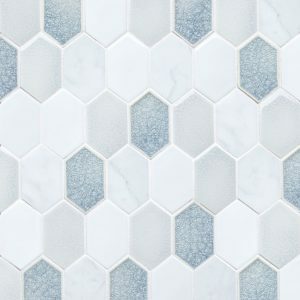 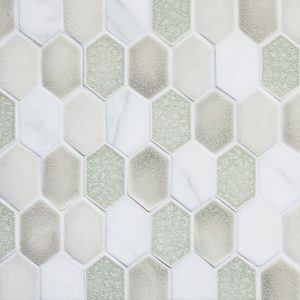 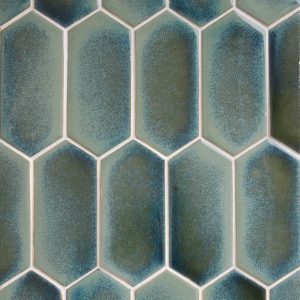 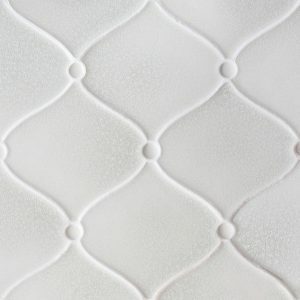 Hexagon 3.5″ mosaic shown here in Vintage matte glaze. Hexagon 3.5″ mosaic shown here in Peacock quartz glaze. 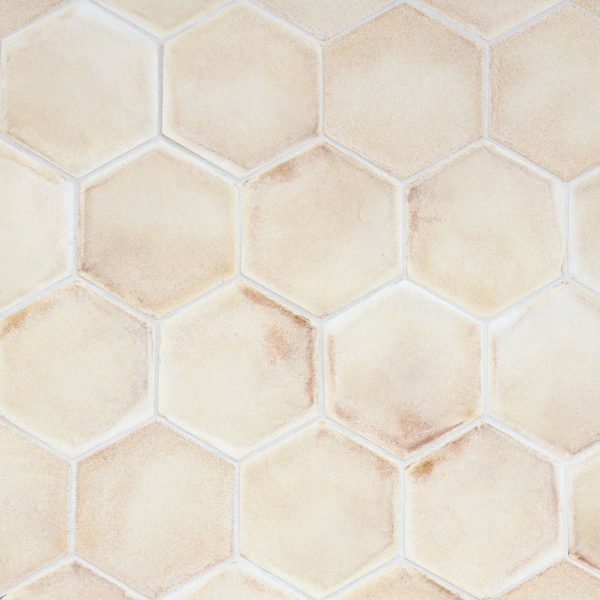 Hexagon 3.5″ mosaic shown here in Alabaster sheer, Platinum sheer, Pumice sheer, Earl Grey sheer, and Cinder sheer.